Super Bowl Sunday is upon us and 2019 generously gives Houstonians another chance to watch the Patriots cheat their way to another Lombardi trophy. 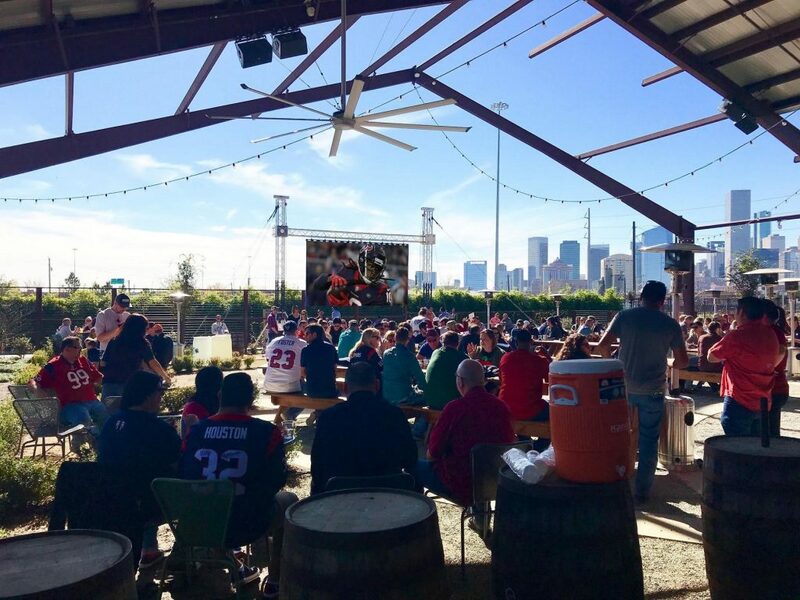 Super Bowl LIII is taking place in Atlanta this year, but Houston is home to the best watch parties featuring fantastic food and drink specials. BCK Kitchen & Cocktail Adventures, 933 Studewood: When the screen is 100 inches wide, you don’t necessarily have to arrive early to get a good seat, but BCK’s specials make it worth coming in early for the pregame show. “Sunday Supper” featuring ribs and wings begins at 4 p.m. Classic Buffalo or Sweet Chili Lime wings are six for $6 or a dozen for $12, while half or full racks of barbecued pork ribs are only $10 or $20. If it all sounds too good to pass up, the Sunday Funday Combo includes a half rack of ribs, six wings, and two sides all for only $20. There are plenty of drink specials with $7 cocktails, $3 Lone Star beers and half-priced wine bottles. Biggio’s, 1777 Walker: Astros Hall of Famer Craig Biggio’s downtown sports bar isn’t only for watching baseball. Biggio’s is focusing on a more upscale VIP experience, with booths for 12 that include four dozen wings, six flatbreads, two dozen sliders and a “hydration bucket” of 12 bottles of water. 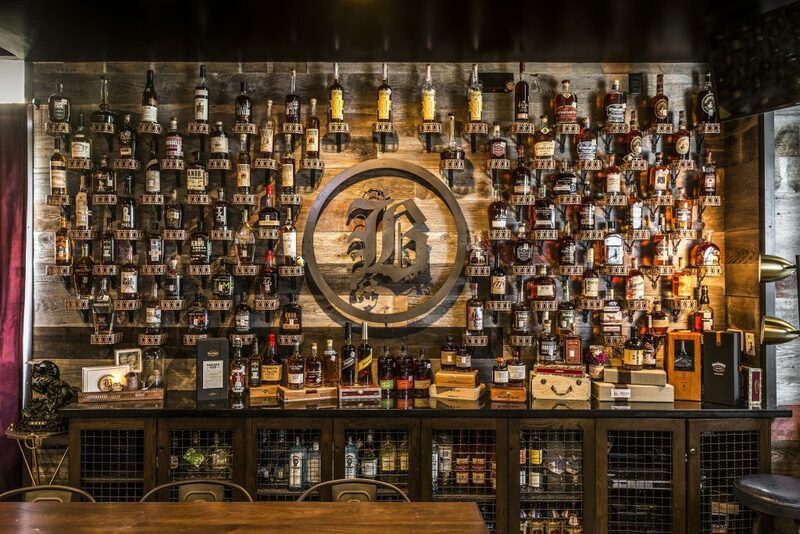 Alcohol isn’t included in the $500 price, but Biggio’s has a large selection of local beers and also boasts a full bar. With two 30-foot high definition screens showing the game, patrons are guaranteed to not miss any plays. Bosscat Kitchen & Libations, 4310 Westheimer: Bosscat is showing the game with sound on all of its flat-screen TVs. The party starts at 4 p.m. with $5 draft beers, $6 Dr. Pepper wings and $14 Big Game Nachos—a massive plate of chips, in-house shaved chicken, pico de gallo and jalapeno queso blanco. Finn Hall, 713 Main: The 10 different eateries in Houston’s newest downtown food hall are all offering “super drink and snack specials” all day long as well as many classic sportsball foods like pizza, wings and burgers. Two different bars both upstairs and down provide plenty of “hydration” options as well. The game is playing on all four screens at Finn Hall, with sound on the overhead speakers. Added 2/1/19, 12:33 p.m.
Jax Grill, 1613 Shepherd and 6510 South Rice: Both locations are showing the Super Bowl with sound. Food specials include 25 percent off of Chipotle BBQ or Buffalo wings, as well as discounted mesquite-grilled fajitas from 4 p.m. to close. Johnny’s Gold Brick, 2518 Yale: The Patriots aren’t the only returning champions this year. Johnny’s Gold Brick is offering a free buffet from Kaiser Lashkari‘s Himalaya Restaurant. The event was incredibly popular last year, and Johnny’s is cementing the tradition. With a Himalaya buffet and Johnny’s general manager Justin Ware‘s cocktails front and center, we recommend showing up early. After all, it’s first come, first served! 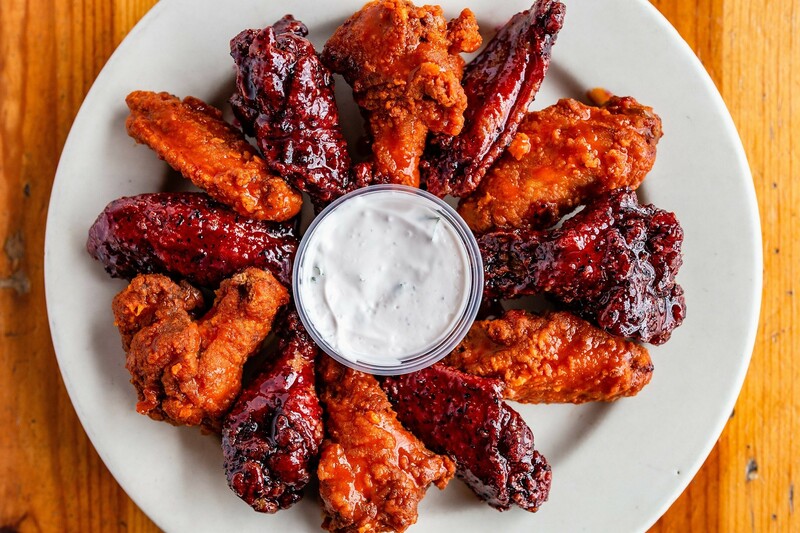 Ladybirds, 5519 Allen: Ladybirds is offering specials on domestic and import buckets of beer for $16 or $18 along with team-themed cocktails and shots. There is also free posole while supplies last. Poitín, 2313 Edwards: This Washington Avenue restaurant is hosting a “Pigskin on the Patio” party with a Carolina-style pig roast and plenty of sides. For $9, patrons can get a half-pound of pork and sides for $5. Those who prefer to watch the pigskin instead of eat it can order off of the Sunday brunch menu from 11 a.m. to 2:30 p.m. RSVP to avoid a cover charge. Revelry on Richmond, 1613 Richmond: Revelry has kept its exact Super Bowl specials quiet, saying only that there will be “bucket, mimosa, and shot specials all day!” So far, Revelry has only revealed the cost to reserve bar seating (you read that right) and tables. A bar seat can be yours for only $25 while a table for 15 is a mere $1000. Revelry is also including an 18 percent gratuity so that you won’t have to worry about calculating your own tip after all of those shot specials. That brings the final charge for that table for 15 to $1,180. Did we mention that the $25 bar stool includes a pint of beer? Reserve your spot if you wish on Revelry’s Super Bowl event page. Royal Sonesta Hotel, 2222 West South Loop: Football fans who need a bit of liquid courage to sit through what’s sure to be another last-drive Tom Brady Miracle™ should take care to partake in Royal Sonesta’s Bloody Mary bar. It features Enchanted Rock Ultra-Premium vodka and Bloody Revolution Bloody Mary mixers like ribeye, garlic, habanero and more. Customized combinations are $10 each. Enchanted Rock vodka is distilled at Texas’ own Rebecca Creek distillery and the “ultra-premium” label is due to a lengthy limestone filtration process that retains flavor and aroma. 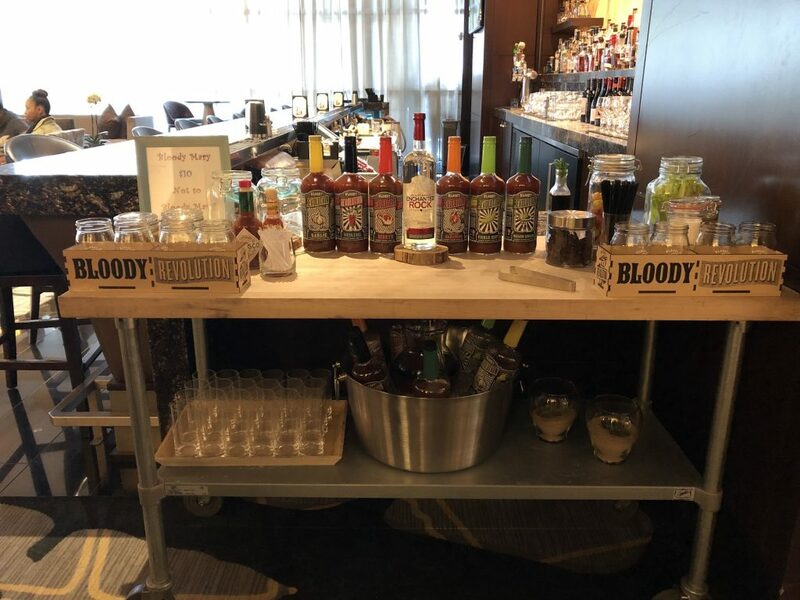 The Bloody Mary bar is available from 3 p.m. until the end of the game. Saint Arnold Brewing Company, 2000 Lyons: If the current forecast holds, expect beautiful weather on Sunday with temperatures sitting just above 70 degrees at game time. Soak it up in the beer garden that boasts a 16′ x 8′ high-definition screen for prime game and commercial viewing. Saint Arnold’s ticketed annual event Super Beef Sunday just happens to land on game day this year so plan ahead and grab grub to-go to nosh on during the game. In addition, there is a special selection of beers exclusively available at the beer garden. The exceptional view of Houston’s downtown landscape is included at no extra charge. Wherever you choose to watch, eat and drink your way through Super Bowl LIII, please be responsible and use a designated driver or use a ride sharing service. It sure does, good call Mike. Saint Arnold Super Beed Sunday ALWAYS lands on game day.